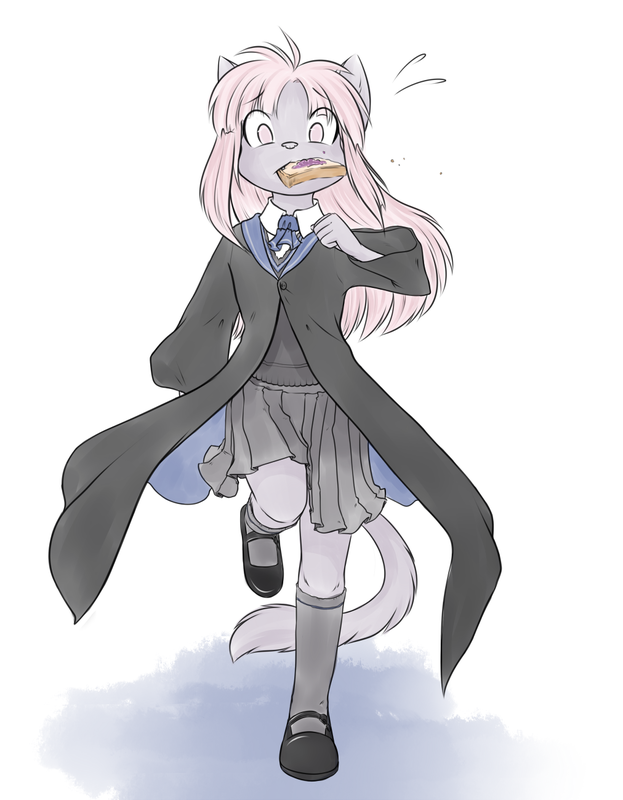 The first product of my themed stream on Saturday, for "students running late with toast in their mouths", an age-old anime trope. Doing themed streams is very fun! I do believe I'll be doing them quite frequently. Being able to draw what you're in the mood for is very freeing. Ahhh, the cliche anime "Toast-in-mouth" technique... Good choice my friend! Ha, I've never even seen this cliche before, ubercute!